Every email marketer needs a strategy for dealing with spam reports. No matter how well your business is run or how great your products are, some email recipients are bound to mistake your messages for spam. Getting labeled as a spammer can be the kiss of death for an online business, so how you handle those spam reports can make all the difference. One powerful tool for email marketers is the ISP feedback loop (FBL). Feedback loops help you learn more about the users who marked your messages as spam. Marketers can in turn use that valuable information to clean up your lists, reduce your bounce rate and improve your delivery for future campaigns. If you even suspect you have a problem with spam reports, it is a good idea to sign up for the ISP’s feedback loops. Even if you are 100% sure that you are doing everything right, it never hurts to have more information. What is the ISP Feedback Loop? Feedback loops are services offered free of charge by all major ISPs. These feedback loops let senders know when one of their recipients complains about the email message they have received. Signing up for an ISP’s feedback loop is typically easy. All you need is the IP address, the list of domains you want to subscribe to, a valid email address and complete contact information. You will also need to provide information about the number of messages you send during a typical day, week or month, along with the type of content you provide. Most ISPs will also need the URL of your opt-in page and information about your single or double opt-in process. Why is the Feedback Loop Process Important? The feedback loop process provided by ISPs can be a valuable learning tool for any email marketer. Since most email providers offer a feedback loop, there is really no excuse for not signing up. Gmail was previously the only ISP to not offer a feedback loop, but that is changing. Gmail now offers a kind of feedback loop, although the process is a bit different than competing email providers’. Gmail does not allow single senders to receive traditional feedback loops like other ISPs. However, senders can receive a kind of feedback loop by implementing the “List Unsubscribe” function, which will allow recipients to report spam and unsubscribes from an email list. In this case, each time a user reports an email as spam, Google will send an email notification to the sender so he can remove that address from the list. When you sign up for an ISP’s feedback loop, you can gather valuable information about who marked your messages as spam. You can use that information to spot patterns, identify those email addresses and keep your list as clean as possible. You should be evaluating and cleaning your list on a regular basis anyway. The ISP feedback loop makes that process easier. How Can Feedback Loops Help Email Marketers? 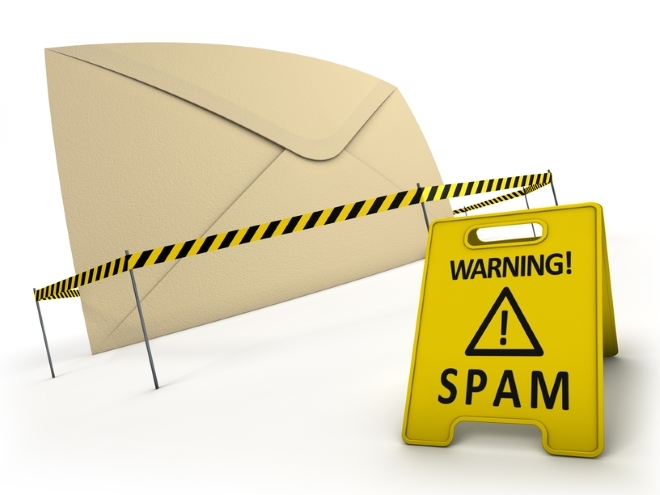 Every email marketer needs to be proactive about spam reports. A high number of spam reports coming from your IP address could get your site blacklisted and put you out of business. By identifying spam reports and dealing with them immediately, email marketers can preserve their online reputations and avoid permanent damage. The ISP feedback loop provides a way for email marketers to spot problems early, before they get out of control. The information you gather through the feedback loop process can help you clean up your list and make subsequent email campaigns more successful and less prone to spam reports. In case you are using a professional SMTP service (e.g. our partner turboSMTP) you will not need to sign up for ISPs feedback loops because all abuse complaints will be forwarded to them and added to a Suppression List to ensure end users do not receive any further emails from you. Taking a proactive approach is an excellent way to stay on top of your spam issues and keep your lists as clean as possible.